Why Do Insects Migrate? Which Insects Migrate? Painted ladies are irruptive migrants. Their migration is thought to depend on El Niño climate patterns. Were it not for the well-known story of the monarch butterflies, most people probably wouldn't realize that insects migrate. Not all insects migrate, of course, but you might be surprised to learn how many do. These insects on the move include some kinds of grasshoppers, dragonflies, true bugs, beetles, and of course, butterflies and moths. Migration isn't the same thing as movement. Simply moving from one place to another does not necessarily constitute migratory behavior. Some insect populations disperse, for example, spreading out within a habitat to avoid competition for resources within the population. Insects also sometimes extend their range, occupying a larger area of the same or similar adjacent habitat. Determined movement away from the current home range - In other words, if it looks like a migration, it probably is a migration. Migrating insects move with a mission, making persistent progress away from their existing range and toward a new one. Straight movement - Relative to other kinds of movement, insects will move in a fairly consistent direction during migration. Lack of response to stimuli - Migrating insects focus on getting where they are going, and tend to ignore the things that occupied them in their home range. They don't stop their movement at the first sign of suitable host plants or receptive mates. Distinctive changes in behavior before and after migration - Insects preparing to migrate may suspend reproductive activities and change their feeding habits. Some will climb to the top of a tree to assess and make use of the wind currents when they depart. Locusts, which are normally solitary insects, become gregarious. Changes in how energy is allocated within the insects' bodies - Migrating insects undergo physiological changes, triggered by either hormonal or environmental cues. Aphids, which usually lack wings, may produce a winged generation capable of flight. Over several nymphal instars, gregarious locusts develop long wings and dramatic markings. Monarch butterflies enter a state of reproductive diapause before their long journey to Mexico. Some insects migrate predictably, while others do so occasionally in response to an environmental change or other variables. The following terms are sometimes used to describe different types of migration. Seasonal migration - migration that occurs with the change of seasons. Monarch butterflies in eastern North America migrate seasonally. Reproductive migration - migration to or from a separate breeding location. Salt marsh mosquitoes migrate from their breeding grounds after emergence as adults. Irruptive migration - migration that occurs unpredictably, and may not involve the entire population. 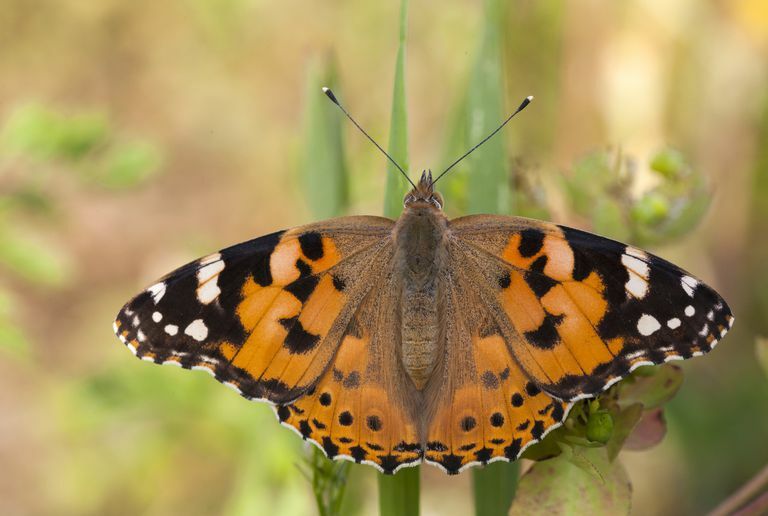 Painted lady butterflies are irruptive migrants. Their migration is often associated with El Niño weather patterns. Nomadic migration - migration that involves progressive movement away from the home range, but not to a specific alternate location. Locust migration tends to be nomadic. When we think of migration, we often assume it involves animals moving north and south. Some insects, however, migrate to different altitudes rather than changing latitudes. By migrating to a mountaintop during summer months, for example, insects can take advantage of the ephemeral resources in an alpine environment. This is by no means an exhaustive list of examples. Mike Quinn of Texas A&M has assembled a more detailed list of North American insects that migrate, as well as a thorough bibliography of references on the topic. Migration: The Biology of Life on the Move, by Hugh Dingle. The Insects: An Outline of Entomology, by PJ Gullan and PS Cranston. Encyclopedia of Insects, edited by Vincent H. Resh and Ring T. Carde. Migratory Insects of North America, by Mike Quinn, Texas A&M University, accessed May 7, 2012. 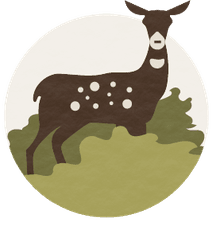 Migration Basics, National Park Service, accessed January 26, 2017 (PDF).